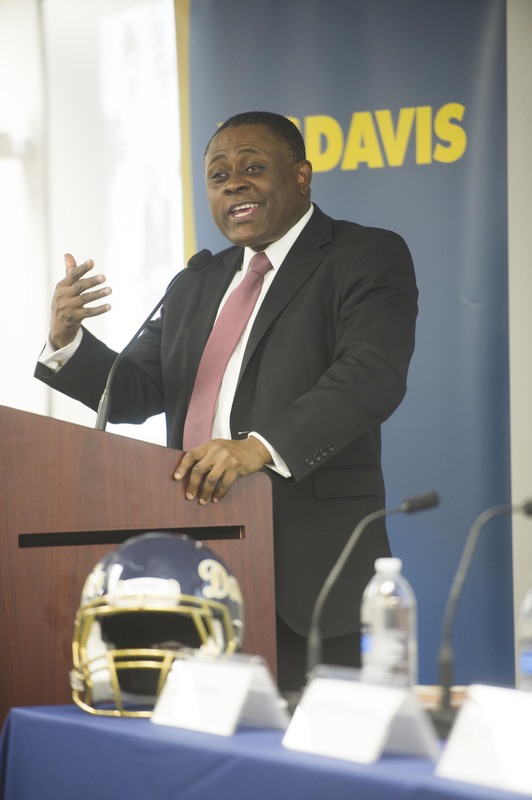 UC Davis experts present on issues pertinent to California and the legislative community to inform public policy change and to fulfill its public service mission as a land grant university. These are public events requesting advance reservations due to limited seating. Events can be viewed live via Facebook or visit our video library to view past presenters. Suggest a topic of interest or a speaker for a future Speaker Series event. UC Davis’ Big Ideas, forward-thinking, interdisciplinary programs and projects that will build upon the strengths of the university to positively impact the world for generations to come. At UC Davis our researchers, scientists, clinicians and others are working on innovative and ambitious initiatives in sustainability, food, water, global education, animal and human health, and more.